"It's ok not to be ok and it's ok to talk about it." 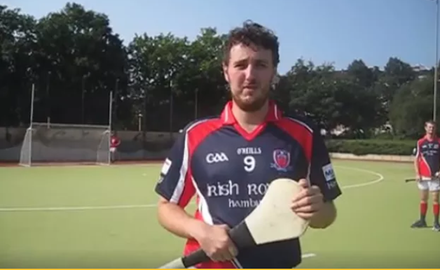 Crossbar Challenge - Raising awareness for mental health issues. One in three Irish people binge drink regularly, yet 97% of the Irish population regard themselves as moderate drinkers. Was ist Depression, wie fühlt sich Depression an, was kann ich dagegen tun, wie kann ich einem Freund helfen? Some sports injuries result as accidents but more often than not result in poor training practices , improper equipment, lack of conditioning , or insufficient warm ups or stretching. It is common throughout European competitions that players can often have round robin games throughout the day which can often result in injuries due to lack of stretching and warm ups before and after games. The GAA 15 version 1 can be undertaken as a standardized warm up before training and Games.